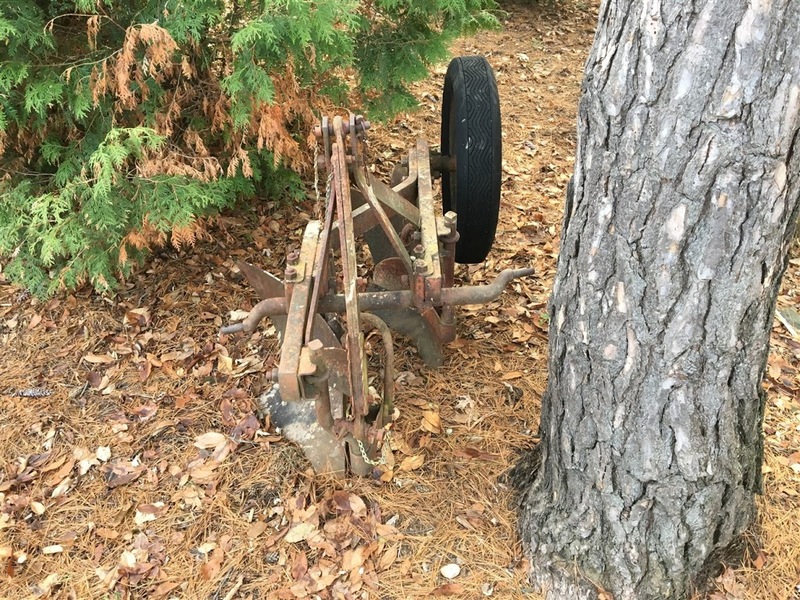 A Bantam Plow Saved From the Scrap Pile! Evan had to miss this JPRT (Jeep parts retrieval trip). 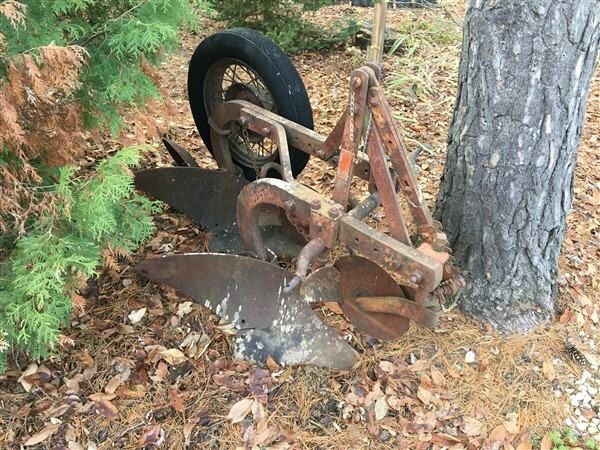 Barry’s first pre-trip task was to determine what sort of paperwork he would need to bring the plow back to the states. 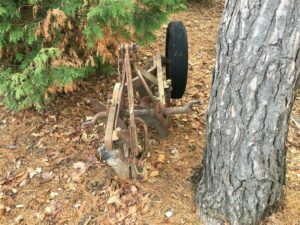 Some net searching indicated that all that was required for used farm equipment was a bill of sale. It would be a 9 hour trip each way, so he decided to break it into two days. The trip north was uneventful and the weather quite pleasant for the first of December. The best part was meeting Les and his father Leroy. The only downside was Barry was in a rush to get back to the US and couldn’t spend more time talking with them. Leroy loaded the plow using his backhoe and even strapped it down, while Barry stood by just admiring the beautiful sight. Leroy supplied a bill of sale and it was all that was needed for getting the plow back home. Les had sent us the model number NDGP-12, which is the same number used by Newgren. 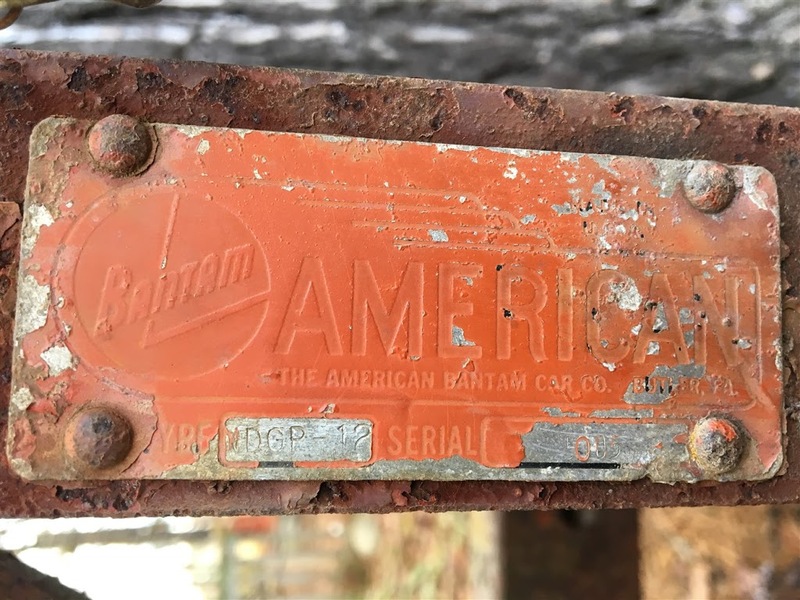 So it is now clear that they did simply change the tag from Newgren to American Bantam, keeping the Newgren model number. Les also sent the serial number 5005. 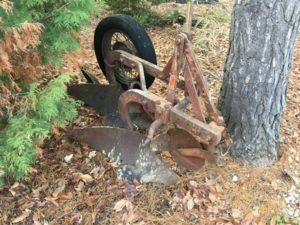 While we don’t know what starting number Bantam might have used, it is easy to speculate that they started with 5000 and this was the fifth plow released. We didn’t learn how it arrived in Ripely, but it does give us hope that more Bantam labeled plows will surface. We just hope that there are more people like Les out there who will save them from the scrap pile. Next PostNext Merry Christmas & Happy New Year!